Oh, my, my, my, I’m the lone craps shooter, playin’ the field ev’ry night. Baby… can’t stay…you got to roll me, and call me the tumblin’ dice. 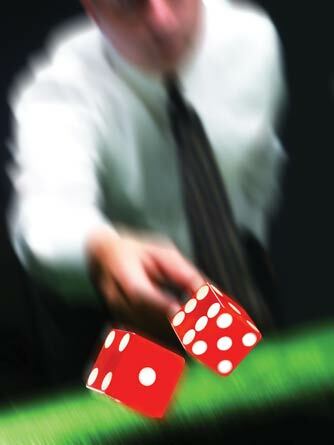 “New roller coming out” yelled the croupier as he slid five dice toward me. The table was packed. I was having a particularly good night and as a result had made thousands of dollars for my 15 new best friends. “Let’s go Maryland, 7 or 11” a guy at the other end of the table said, referring to the University of Maryland shirt that I often wear when I have the chance to play craps. We were on a cruise ship in the middle of the Gulf headed to Mexico and I was hitting my numbers each time it was my turn to roll the dice. If you don’t play the game called craps, the basic object is to throw your first roll of the dice, called the “come out roll,”and establish a “point” number. Let’s say you roll an “8.” You then continue until you either roll another 8 and everyone wins, or you roll a 7 and everyone at the table loses. This is a VERY basic explanation. There are hundreds of possible side bets that can also be made during the course of a single roll, many of which I don’t really understand. I prefer to play using a simple strategy that gives me the best odds of success without taking too many unnecessary risks. During this game, it occurred to me that this concept of “best odds of success” might be an interesting leadership topic. Leaders cannot avoid taking risks. they should take risks. Ideally, the risks a leader takes are carefully calculated to position the organization for a successful outcome. In craps, there are “relatively safe” bets and there are “very risky” bets. The level of risk has to do with the odds of winning vs the odds of losing. For example, you could place a ten-dollar chip on double-sixes (also known as “Boxcars“) which pays 30 to 1. 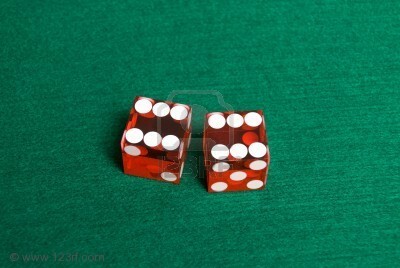 But that is a one-roll bet, so you are betting that the very next roll will come up double-sixes. If not, you just lost your ten dollars. The odds of you winning that bet are 1 in 36, the most risky bet on the entire table. Leaders must be willing to take calculated risks and then adapt to any changes that result. One could argue that a leadership position will never be achieved without taking risks. What risks are acceptable for the leaders of a company? 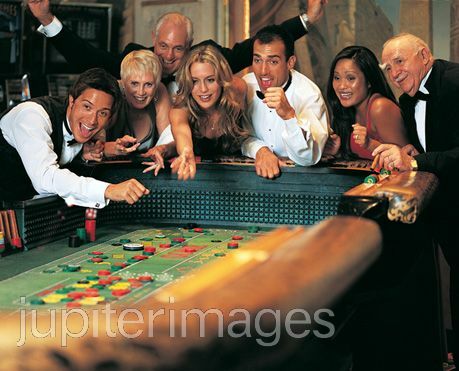 In craps, people will refer to the table as being “hot” or “cold” depending on whether most rollers are winning (hot) or if they are losing (cold.) When the table is “hot,” people will tend to make higher risk, higher payout bets. As the table starts to “cool off,” lower risk bets are placed. Likewise, during a robust economy, when there are more opportunities, it is acceptable to take greater risks. The impact of a single loss will be greatly offset by the many wins that are likely to occur. In flush times, leaders can practice “offensive” leadership. However, in a down economy, leaders tend to adapt their styles to more “defensive” leadership. Taking on work that might have been overlooked in busier times. As external circumstances change, the leader must be prepared to adapt the level of risk they can afford to take. Do you know people who take unnecessary risks with your company’s resources? Have you ever taken a calculated risk and had it pay off? Do your team members know what types of risks are acceptable and which are not? Would you practice the same approach to risk at home as you do at work?